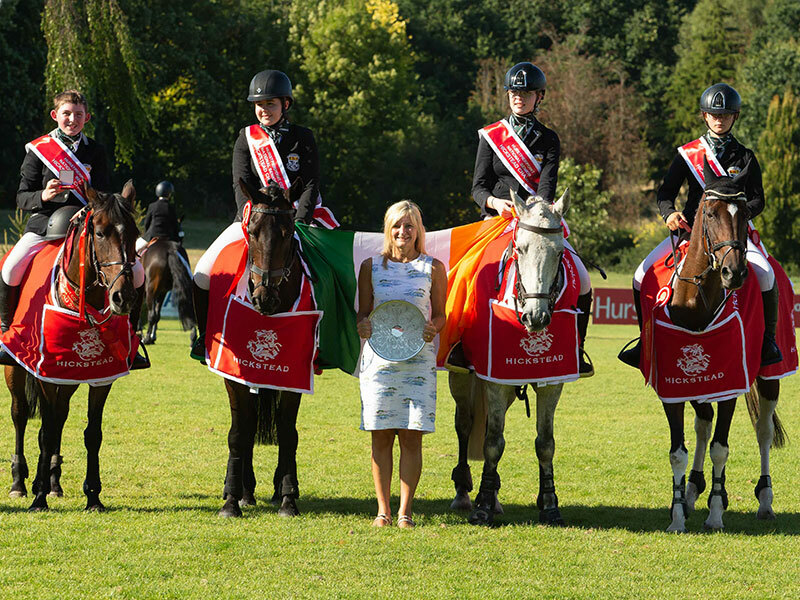 Having been second for the past two years, the team from Newbridge College in Co Kildare was delighted to take the Senior Schools team and individual titles at the Hurstpierpoint College National Schools and Pony Club Jumping Finals at Hickstead on 02 August. “This is one of the biggest competitions that we take part in so it's great to win," said Max, who was riding his 14.2hh showjumping mare Bally David Souz. "It's unbelievable to get the opportunity to compete at such a well-known prestigious venue as Hickstead," said fellow Newbridge College team member Leah Heffernan, 15, who rode My Rockstown Two. Fifteen-year-old Niamh Flinter and her mare Classie Lass were taking part in this team competition for the first time. "I couldn’t help but smile when I was competing in this arena. I had a feeling we might win as we have a great team," she said. The Hurstpierpoint College National Schools and Pony Club Jumping Championships were first held in 1964. Since then thousands of young riders have come to Hickstead each summer, each hoping to qualify to jump on the hallowed turf of the world-famous International Arena. Many top international riders have competed in the Hickstead Schools Championships, including Pippa Funnell and Robert Whitaker. The Duchess of York, supermodel Jodie Kidd and BBC presenter Clare Balding all had an early experience of showjumping at this annual fixture.